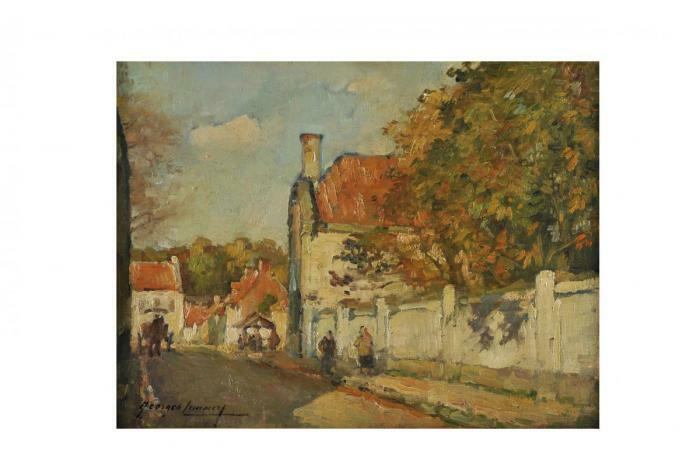 Georges Ferdinand Lemmers was born in 1871 in Antwerp. He received his artistic training at the Antwerp Academy of Art, where he was an apprentice of Albrecht de Vriendt (1843-1900). He was also a pupil at the Academy of Mechelen in Belgium, where he worked under Jean Guillaume Rosier (1858-1931). Lemmers lived and worked in Belgium most of his life until the start of World War II. He t . . .